Florida stone crab season runs Oct. 15 through May 15, and the abundant crustacean in the Gulf waters is rich in taste and significance to Floridians. For local fishers the stone crab is a way of life, and the crab’s gigantic claws pass through many hands before they get to your plate. For starters, stone crabs are actually a regenerative food source. There’s not much meat in the body, so only the claws are used. Crabbers know how to cleanly break off their claws — which must measure all of 2.25 inches — and toss them right back in the water, where their claws can grow back. Of course, a crab without claws is going to have trouble defending itself, so luckily, most times just one claw meets the size requirement to be harvested. Once the claws are brought back to land, they’re immediately cooked and chilled. Prices on these flourishing crustaceans are high, but with commercial crab traps weighing roughly 60 lbs each and the work of picking off the claws while out on the water, it’s no easy feat. The prices are pretty fair once you take into account all the prep needed to get these tasty delicacies ashore. 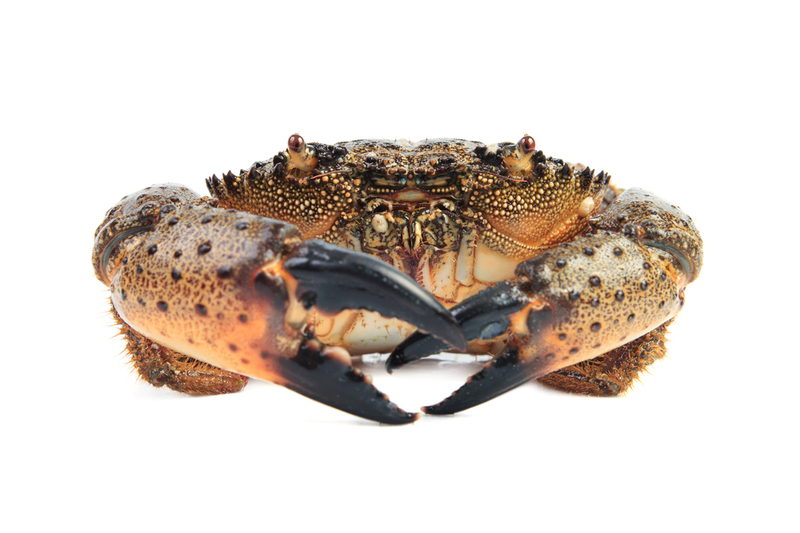 Stone crabs are noted for their massive, black-tipped claws that can’t be broken apart with your hands. Those metal crackers don’t work either, so don’t bother fumbling around with them. The best way to crack open the tough shell is with the back of a spoon; give it a few whacks and it will break open without damaging the delicious stuff inside. The meat is more similar to that of a lobster than other crabs. It’s sweet and hearty, and in south Florida is usually paired with a tangy mustard sauce. The sweetness of the crab goes well with the kick of the mustard. For scale, about seven claws equals about 1.5 lbs of stone crab meat. If you’re a seafood lover, skip the mustard and enjoy the taste all on its own. It’s the best crab around and all you need is a spoon to crack it open. Ready to book? Check out our special offers only available on our website.